There is not enough political attention given to regulating the heating oil market. Therefore, the homes that use heating oil in the UK (approximately 2 million) run the risk of paying too much. To ensure you don’t get done over, there are a few things you can do when looking for cheaper heating oil. If you’re moving into a new home with an oil heating system and you’ve never used it before, ask the people who occupied the property before you what supplier they used and how much it cost them. If they have been living there for a while, they should know a heating oil company that supplies inexpensive domestic heating oil and inexpensive industrial heating oil. The main difference between oil and gas is that oil is stored in a tank and can run out, rather than the ready supply of gas through pipes. Gas oil (also known as red diesel) and kerosene are two other types of heating fuel. Your boiler will determine which one you need to use. It is normally best to use kerosene in a domestic property, as it has been recognised as the more efficient of the two. However, if you’re looking for an inexpensive heating oil then gas oil may be the better option. When you buy inexpensive heating oil, you do so at your own risk because as mentioned before there is no trade watchdog. Research the heating oil supplier. Fuel prices don’t tend to differ greatly from supplier to supplier. So if you find an extremely cheap price, it may be too good to be true. However, if you need fuel in an emergency, you can expect to pay more for the delivery. Most suppliers tend to only deal in multiples of 500 litres. If someone offers you an odd numbered quantity, you might need to double check. FLocal suppliers tend to offer better prices. So you probably won’t get the best price from a fuel supplier who is based 100 miles from you. 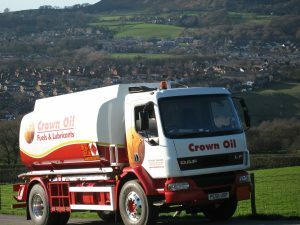 A domestic heating oil supplier in your area will usually be a cheaper oil supplier for you however, it may always help to get more than one quote. If you would like to contact our friendly team for any more help and advice, you can do so by giving us a call on 0845 313 0845 today.